Experiencing the Star Wars Holiday Special is a true test of mental, physical, and emotional endurance, so much so that we couldn't do it alone. 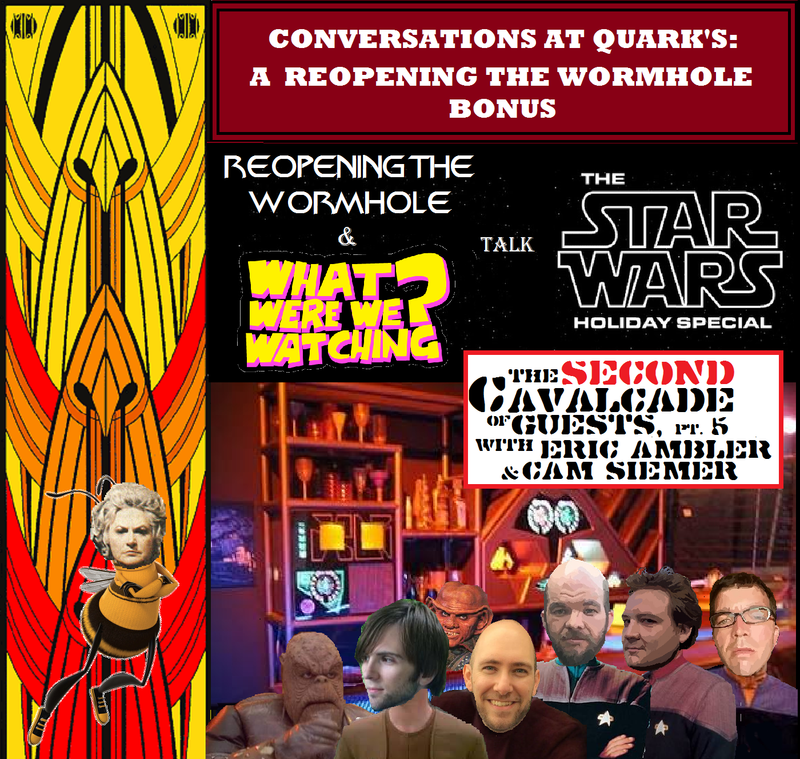 We trekked across universes to join our friends on the Deep Space Nine podcast Reopening the Wormhole in shared misery over this infamous piece of bantha poodoo. The end result was a long, hilarious, and insightful conversation that proved infinitely more entertaining than actually watching the damn thing. 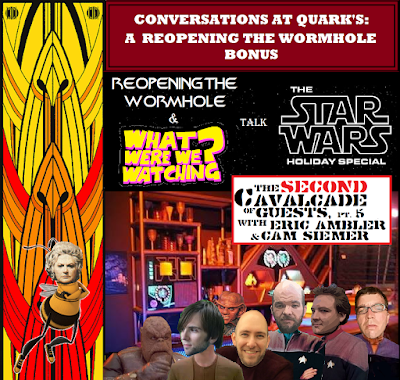 So grab a cup of Jawa juice and/or Romulan ale (heck, you might need to double-fist quite a few just to make it through what might be the nadir of either space franchise) and strap in for a bonus crossover episode worthy of recognition in the archives of the Jedi Order. Oh, and try to enjoy your Life Day.